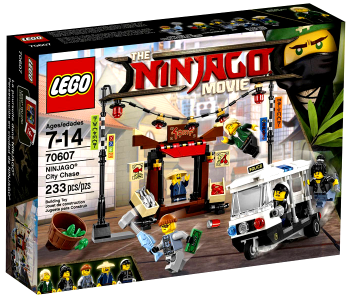 We’re giving away a free sealed LEGO Ninjago 70607 box set to the winner of our Building the Community competition. To be in with a chance of winning, build a MOC that has something to do with our Irish LEGO User Group community and submit photos of your entry on the forum’s Members Creations board along with a brief description. What to build and what the link is with the community is up to you so we’ll leave that to your thinking caps. Entries must be in on or before midnight on Friday 31 August 2018. Maximum of 1 entry per member. The MOC of the Month Judges Panel will select the winner (their favourite!) after the competition closes. If you end up being the chosen one, your prize can be collected at any future group get-together or event.